The old Supreme Court Building, which sits alongside the Old City Hall on Saint Andrew’s Road is the masterpiece of architect Frank Warrington Ward and Singapore’s last neo-classical building. 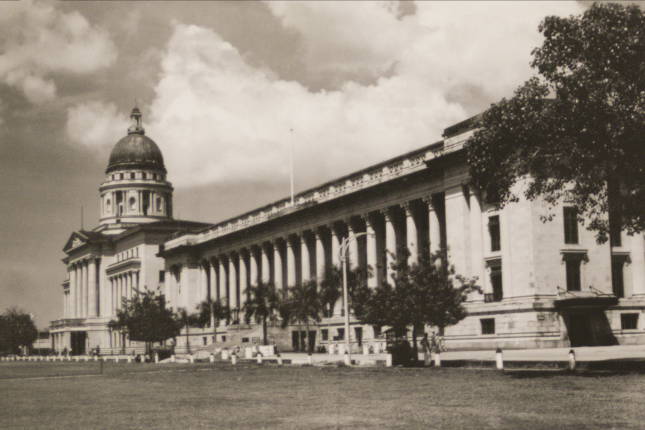 It served as Singapore’s Supreme Court from 1939 to 2005 until the Supreme Court commenced its operations in the new building on 20 June 2005. CPIB’s very first office was located on the second level of the old Supreme Court Building. 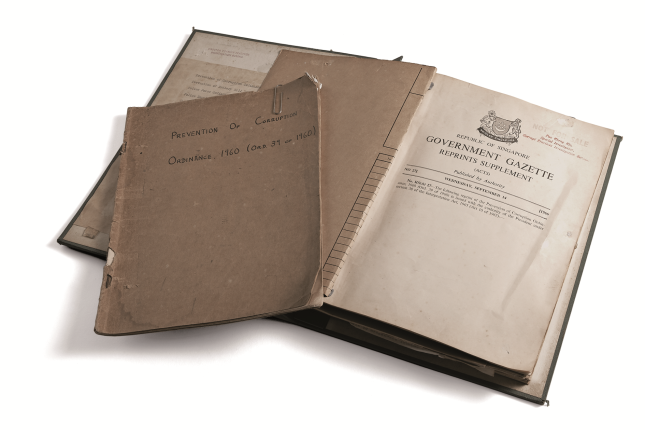 Our presence in the building (where justice was meted out to criminals) was of psychological importance as it reinforced the Bureau’s authority in the fight against corruption. 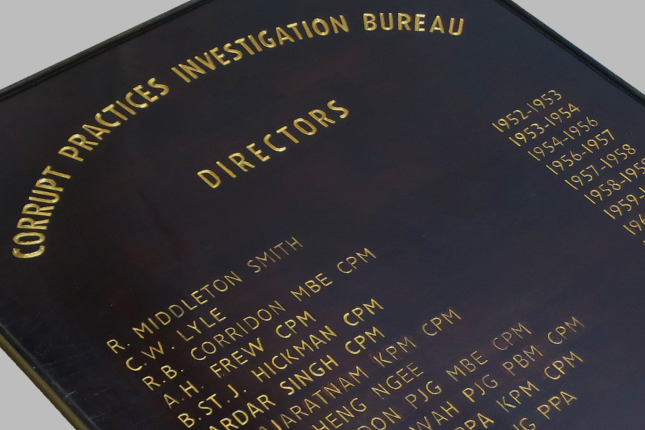 Led by the first Director of CPIB, Mr Richard Middleton Smith, the Bureau was set up with a lean outfit of 13 officers. 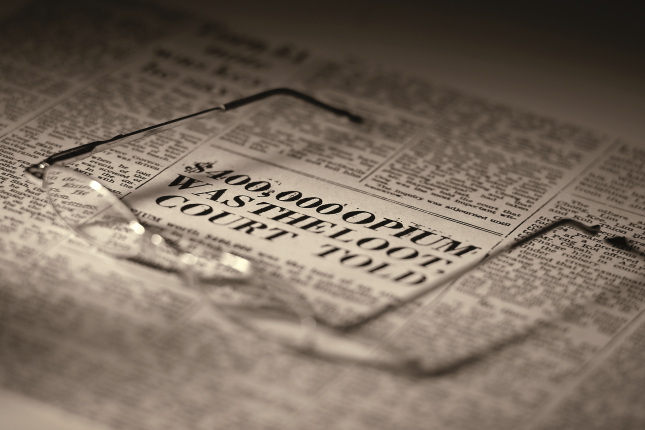 The team worked from a small room at the Supreme Court and managed to uncover widespread police corruption and valuable information on opium smuggling. It was also during the old Supreme Court Days that Singapore attained internal self-government and the PAP-led government toughened the legislation to fight graft effectively. 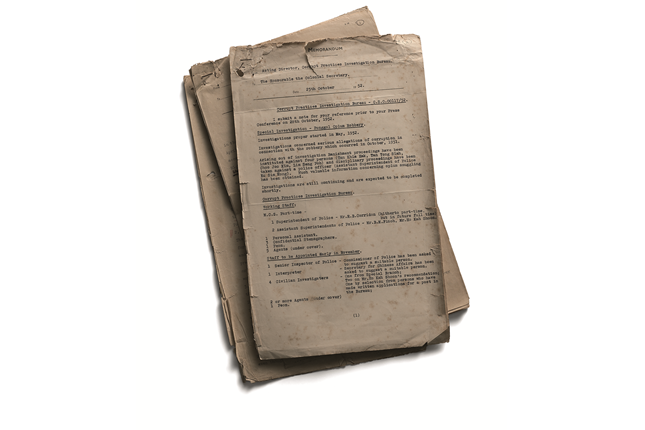 On 17 June 1960, The Prevention of Corruption Act (PCA) was enacted, empowering the CPIB to conduct its investigations and law enforcement duties.